I returned from my first ever Stampin’ Up! Convention last night and I am absolutely drained. I don’t even know how to put everything that I experienced in to one post, so I’m just going to sum it up and say I had a ball! Have you ever laughed so much, you cried? That was me for most of the 5 days I was away. I can’t wait for the 2014 South Pacific Stampin’ Up! Convention in Melbourne (yay! – it’s in my home town!). Now for the real reason for my post today – it’s Monday so that means it time for another sketch at Merry Monday! Lesley has given us this amazing sketch. When I first saw this sketch it puzzled me and then once I sorted out my DSP, my card just fell together. The designer series paper I’ve used is from a retired Stampin’ Up! 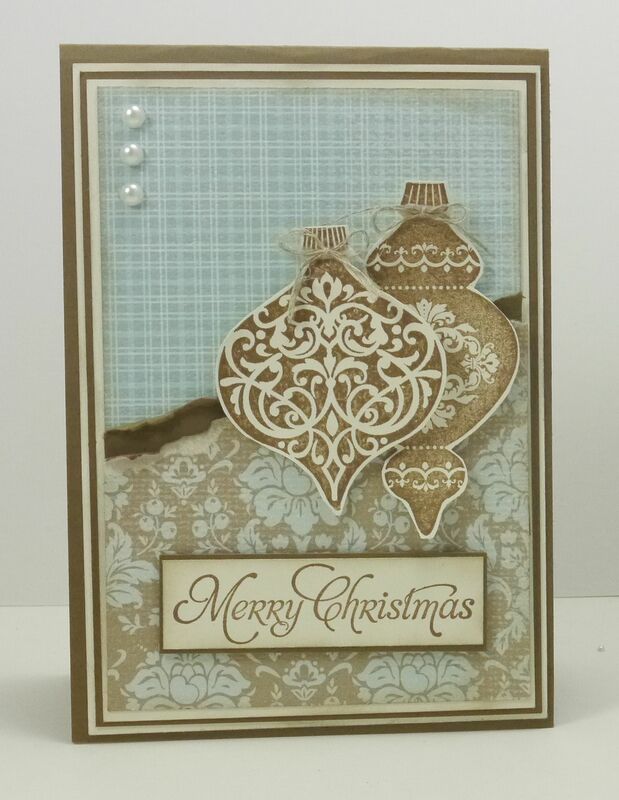 pack called Parisian Breeze and once again I’ve used the baubles from Ornament Keepsakes. You’re going to want to head over to Lesley’s blog and check out the fabulous cards the Design Team have created as I love them all! Love your take on the sketch and the elegance of your card, Narelle! Love the torn edge! So happy you had an amazing time at the Convention!! It sounds like you had a great time at your first convention and how lucky to have the next one in your hometown. Your card is wonderful. I love the colors and those ornate ornaments. Beautiful ornaments and colour combo for this weeks sketch. Beautiful card Narelle and oh so elegant. I love the colours you used and the ornaments are wonderful. These ornaments are always elegant and they’re perfect with this pretty paper! Great card, Narelle! I have some of this Parisian Breeze DSP and I hoard it because it’s so beautiful! Glad you had a good time at convention. Sounds like you had a blast! This is beautiful….the subtle colors are just gorgeous! Glad you had fun at convention! It IS fun—but draining!! All those ideas swirling around in your head!! At least next year you won’t have so far to go! 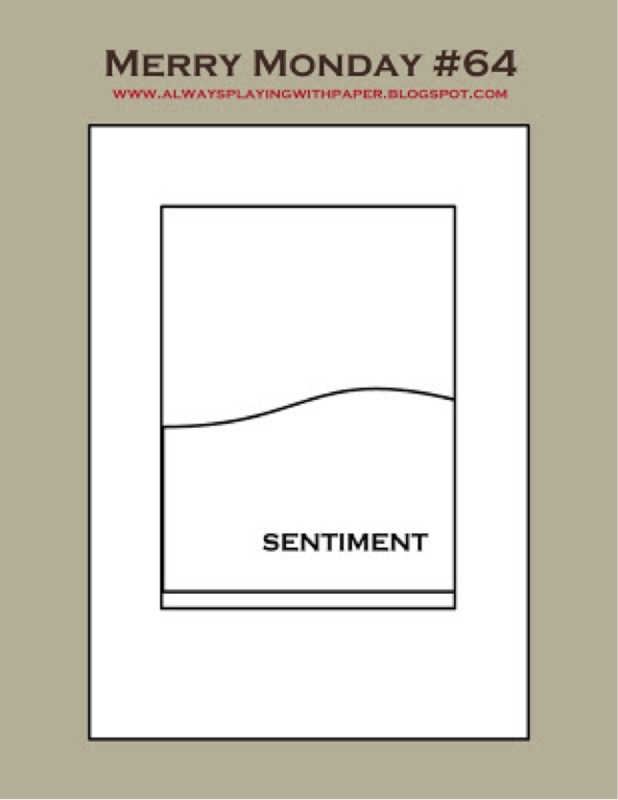 Your card is just beautiful, I love the warm, earthy tones. It’s very elegant 🙂 And I love hearing that you had so much fun at the convention, I’ve never been but love to see and hear the stories in blogland! Very elegant and so gorgeous. I have to say I loved Parisian Breeze and think I still have a little left. The texture is awesome. What a beauty, Narelle! Love the ornaments & your paper choices. Looks vintage-y to me! So glad you had a wonderful time at Convention!